As in Questionnaire One, I decided to conclude Questionnaire Two, covering the period Summer Solstice to Autumnal Equinox 2010, by asking the 10 remaining researchees for any comments they felt like making on our collective life. The general atmosphere of upset, disrupt and change continues, albeit to a more subtle degree. This was not so evident now in global affairs as it was during spring 2010. However, significant disruption and change were clearly evident in many people around me. Finally, there were also widespread weather extremes. When I got back home, I was trying to sign up for healthcare online. My payment would not go through, something was wrong with the site. initiatives to be voted on in November. Recession better and faster than the United States. people are going bonkers over Border Patrol and immigration laws. President Obama continued in his struggle to communicate effectively with the American People, the Democrats continued in their struggle to be effective, the Tea Party continued their march toward the Midterm Elections in November, and there seemed to be an increase in people “snapping” and doing harm to others. In addition, there seemed to be a rise worldwide in plane crashes, hostage situations, bombings, and kidnappings. The weather here in the States — as well as elsewhere — has been extreme with severe floods, hurricanes, and even a tornado touching down in Brooklyn and ripping up trees and tossing over cars! The whole Gulf oil mess was finally resolved. High Government officials and scientist admit some UFO data can not be explained and is down right “Spooky”.Stephen Hawking’s new book stating “GOD” unnecessary for Grand Design. Alien life out there and you may not want to contact them. New Zealand earthquake, Pakistan floods, US pulls out of Iraq. The political climate here is rougher than usual. There seems to be more and more polarization—left against right, Democrats against Republicans. Extremism is the order of the day, and the so-called Tea Party candidates (extreme right) are gaining ground. There is a definite movement to oust Obama, probably the most effective and intelligent president we’ve had this century. It seems as though reason and compromise have gone out the window, which one would expect with a conjunction in Aries. Political emotions are running high. Jupiter ties to the 9th house and law, and Uranus, regards the collective—I would have expected some progressive legislation to have taken place, but there is none on the horizon. We’re going backwards. Aside from that, I’ve been too busy dealing with the fallout of my own Jupiter/Uranus activity to notice what’s going on around me. In news on 21 June: A blast of the brightest X-rays ever detected from beyond our Milky Way galaxy’s neighborhood temporarily blinded the X-ray eye on NASA’s Swift space observatory earlier this summer, astronomers now report. The X-rays traveled through space for 5-billion years before slamming into and overwhelming Swift’s X-ray Telescope on 21 June. On July 30, there was a massive thunder storm in Finland. It left tens of thousands of Finns without electricity and telephone lines, some for weeks (and we are supposedly living in one of the technologically most advanced countries on earth). The forest fell like tooth picks. Also the hottest ever summer in Helsinki, the hottest in 70 years country-wide. The heat started with the summer solstice and lasted almost non-stop until mid-August. I usually read the papers faithfully, but in this time period I stopped reading them completely. I did notice the Chilean miners’ drama and its cheerful resolution. A lot of divisive rhetoric in the US concerning Congress and the upcoming November elections and worldwide unrest due to economic climate. I don’t know what the answer is, but it is worrisome. There you have it! If you’d like to leave a comment to let us know what your take is on the most significant developments of this period, please do! Jupiter/Uranus has an E.T. moment….the highlight of 2010/11? Recently, NASA announced that its Kepler probe had found more than 700 suspected new planets, including up to 140 of similar size to planet Earth. This was from a trawl of, wait for it, only 150,000 stars: a mere fraction of the estimated 100 billion which lie in our home galaxy, the Milky Way. 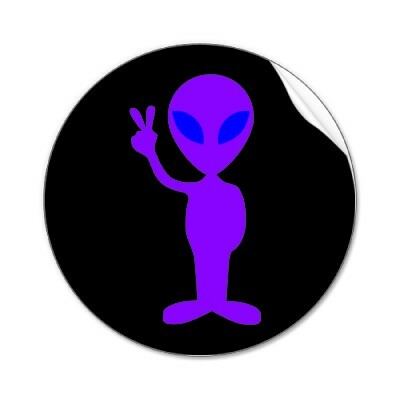 When aliens arrive on Earth, an increasingly likely prospect if many eminent people in the know including Stephen Hawking are to be believed, they clearly have the right to an official Earthling for greeting purposes. The Pope? President Obama? The leader of the European Union? The President of Russia or China? Richard Dawkins? when they first set foot on our illustrious planet. It took my husband some time to convince me that I had not overstayed my time in the Land of Nod the night before that radio bulletin. I did not quite believe this story until I saw it in black and white in the Sunday newspapers. It has got to be my personal favourite for the Jupiter/Uranus Quirky Scientific Award for the 2010/11 conjunction. “….AFA: Do you have a special wish for the human community for something uniquely helpful which could emerge from this powerful and disruptive energy field? 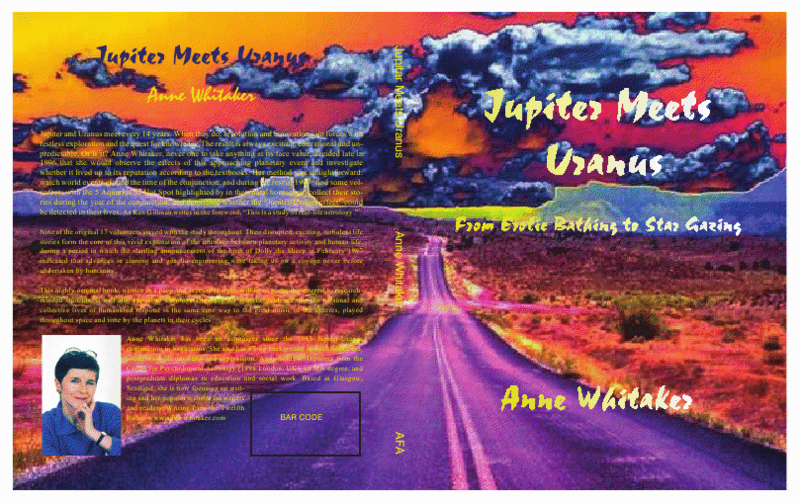 AFA Interview: Jupiter, Uranus and the Purple People from Planet Zog….